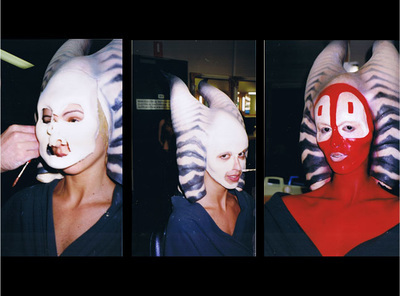 STAR WARS: 'ATTACK OF THE CLONES' WAS FILMED AT FOX STUDIOS SYDNEY IN 2000 WITH JMBFX IN CHARGE OF THE MAKE UP FX DEPARTMENT ON THE PRODUCTION OF EPISODE II. 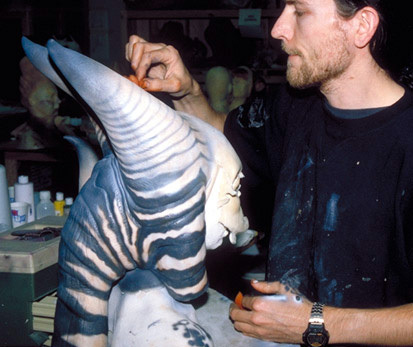 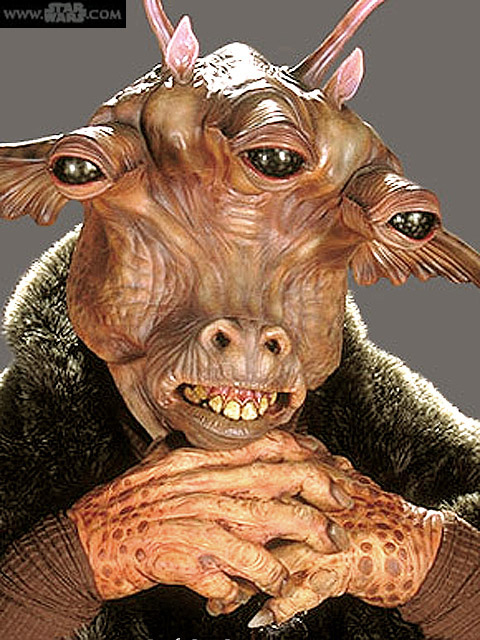 AS A CREATURE TECHNICIAN, I WAS RESPONSIBLE FOR KEY NEW CHARACTERS INCLUDING SHAAK TI AND KIT FISTO, ALONG WITH UPDATING MANY OF THE OLDER CREATURE MASKS DESIGNED BY OTHERS ON EPISODE I AND RETURN OF THE JEDI. 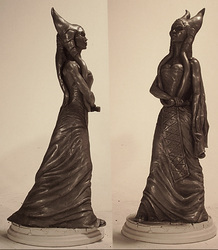 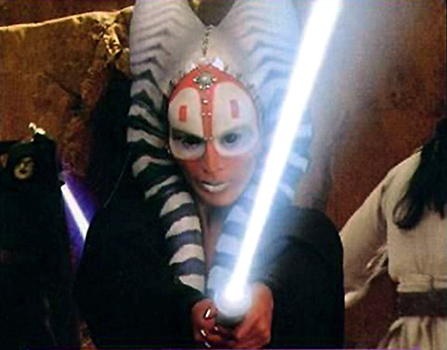 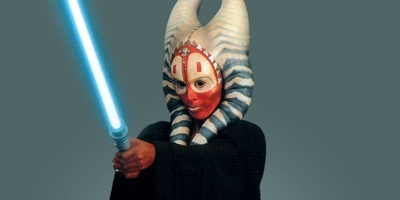 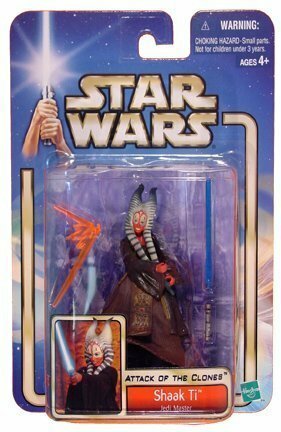 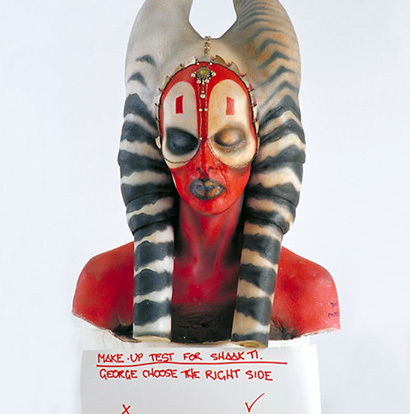 Shaak Ti's appearance was conceived by concept artists Dermot Power and Ian McCaig, who designed her as a Jedi in Star Wars: Episode II Attack of the Clones. 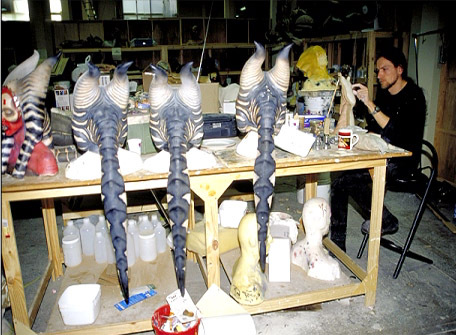 JMBFX head of Creature Department Jason Baird and George Lucas, both approved the final paint design of the prosthetic, which i modified to make more wild and striking. A full head and shoulders bodycast was taken of a very patient and talented Israeli model, Orli Shoshan, who was then encapsulated in a full foam latex prosthetic appliance - all but for her mouth, eyes and nose. 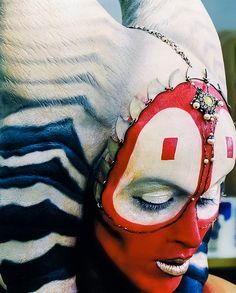 This was a complex and difficult Prosthetic Appliance to create and wear, and Orli was very dedicated to it - even though Shaak Ti had no spoken lines. I was given a deadline of 'two weeks' to sculpt / mould / fabricate all the tentacled prosthetic appliances - no test make up time was available with only two days of on-set prosthetic application .... 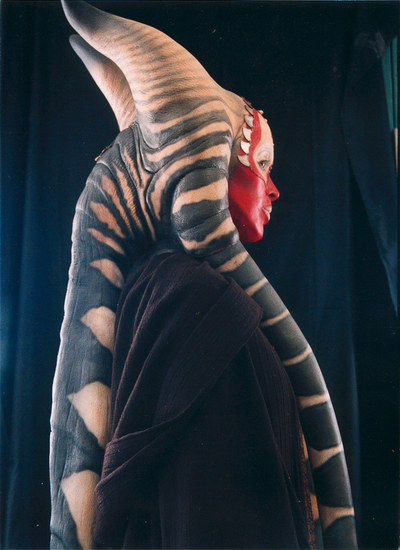 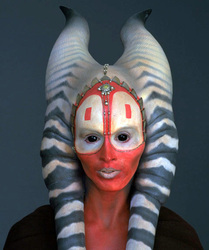 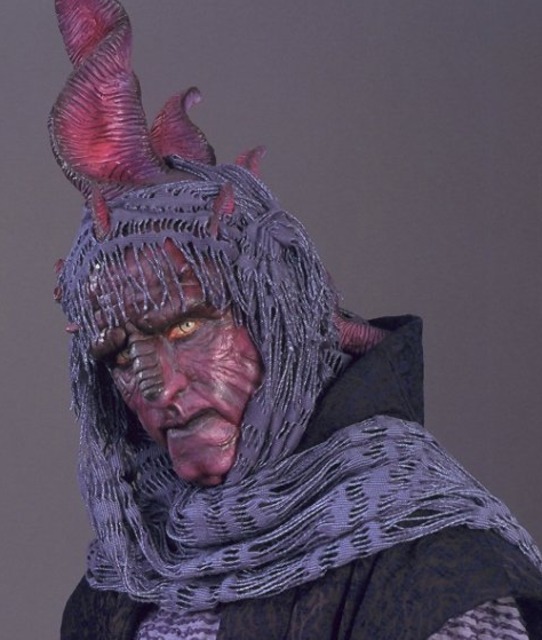 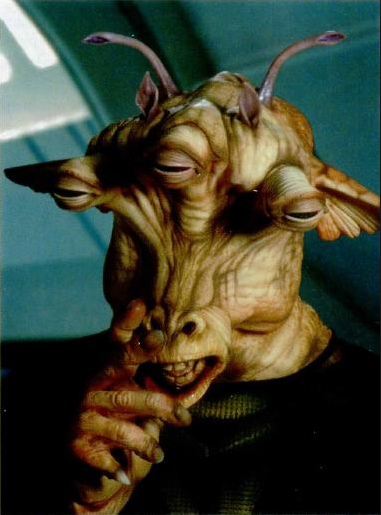 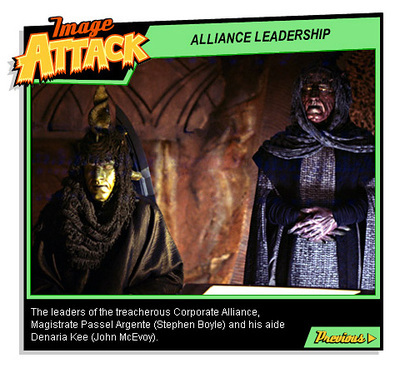 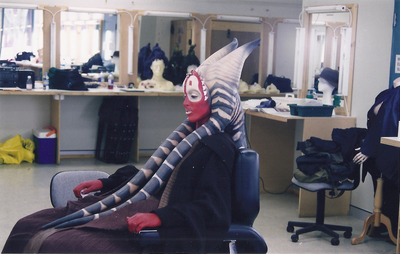 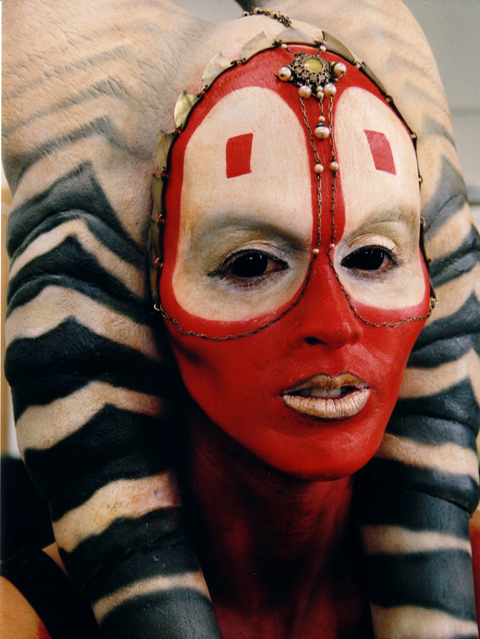 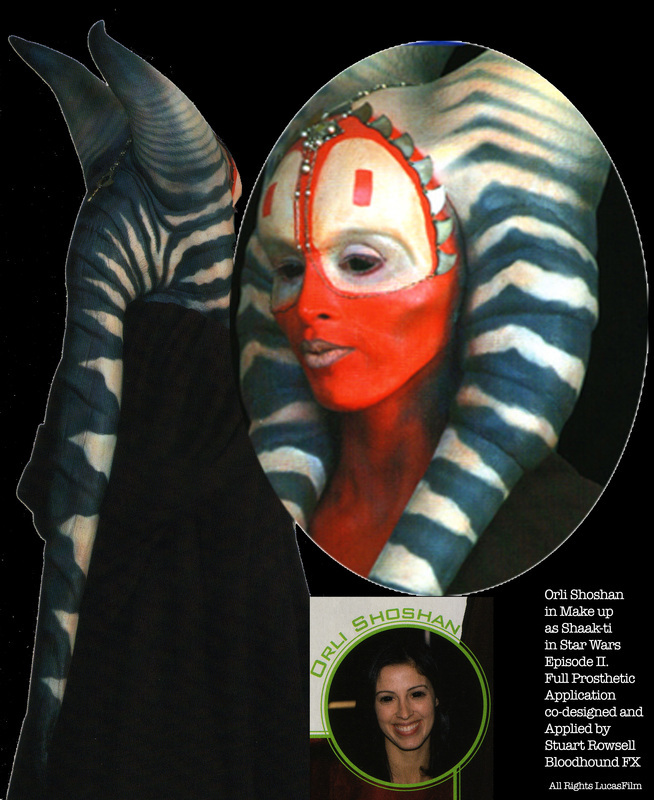 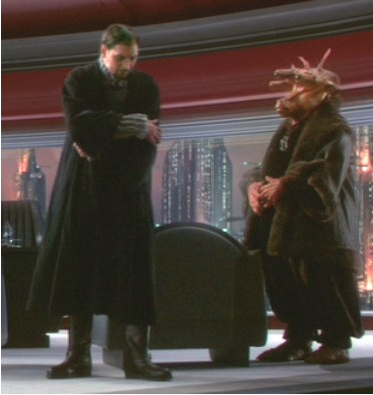 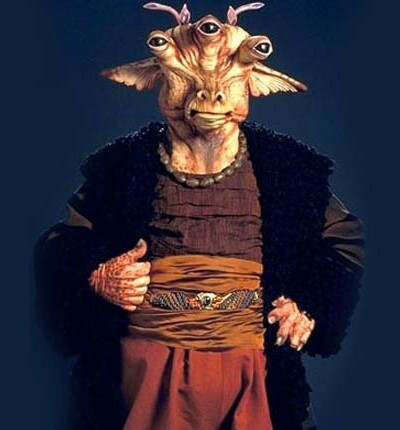 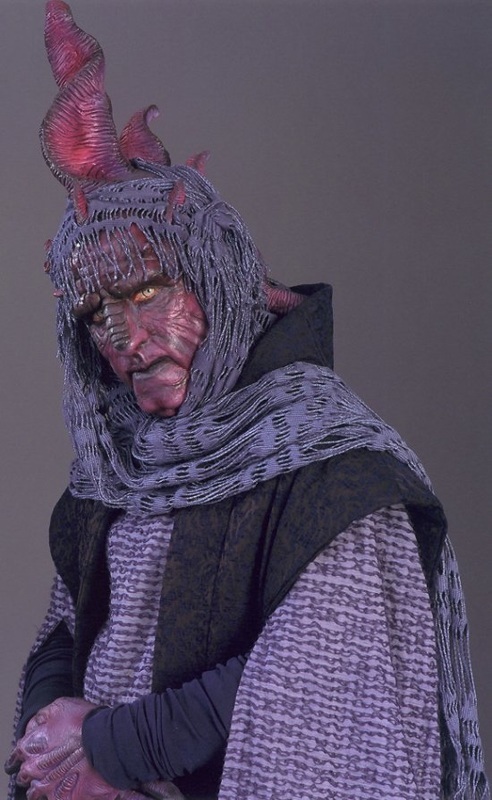 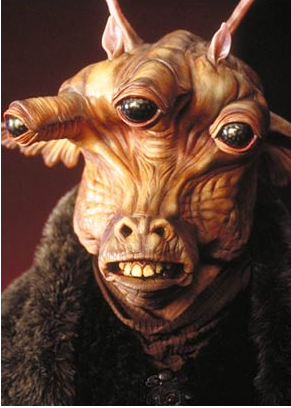 Promotional photos for books and a full 3D bodyscan were taken of Orli wearing the Prosthetic Appliance make up that were then used in creating the Star Wars Toy Figurines of Shaak Ti. 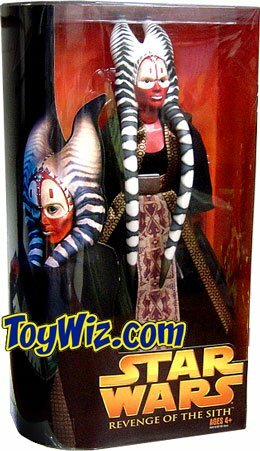 The make up and performance were so well received that Orli was asked to reprise her background role as Shaak Ti during the filming of Star Wars: Episode III Revenge of the Sith, also filmed in Sydney a few years later. 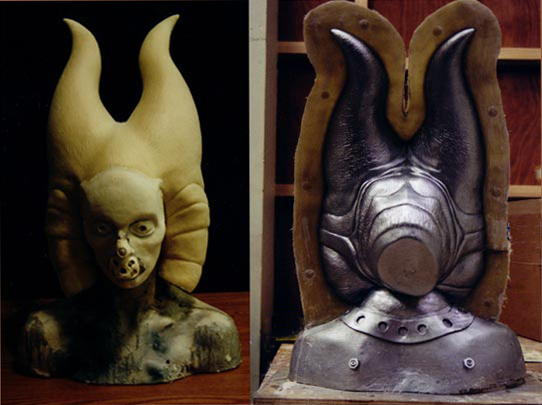 Ask Aak : Malastare Senator - foam latex skin reapplied to the animatronic helmet - airbrush repaint of the original look, with some silicone antenna for extra realism. 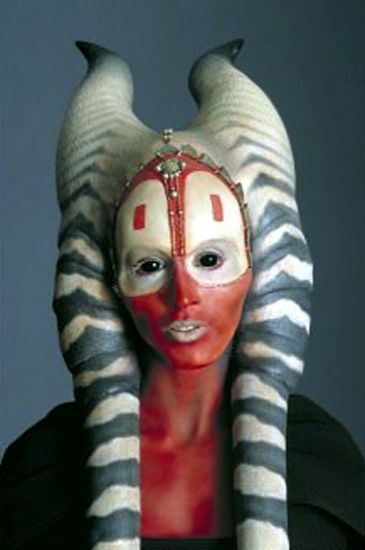 Passel Argente's Aide - a Koorivar who served as the aide to the Magistrate of the Corporate Alliance - Appliance application and airbrush paint designer.